I thought I would share with you a recent bit of Texas history which epitomizes our mission. When you come into my office, please take a look at the beautiful painting of a horseman determinedly charging up what appears to be a steep and rough trail. This is us. What adds complete life to the painting for me is the message of Charles Wesley that we serve One greater than ourselves. So in Bush’s view (or, perhaps I should say, faith) the key figure, with whom he personally identifies, is a missionary spreading the word of the Methodist Christianity in the American West in the late nineteenth century. Wilhelm Heinrich Dethlef Körner (you see why he used initials, though he later Anglicized this as William Henry Dethlef Koerner) was born in Germany and immigrated to a small town in Iowa as a young tot. Over time, he made his way to Chicago and worked as an illustrator for the Chicago Tribune. He married Lillian Lusk, a well-known graphic artist in her own right, and moved to Battle Creek, Michigan, where he worked for Pilgrim Magazine. He and his wife scrimped and saved to finance a move to New York City. They were after more formal art training and wanted to establish themselves as artists in the heart of the publishing industry. They made it to New York in 1907, and they were very successful. 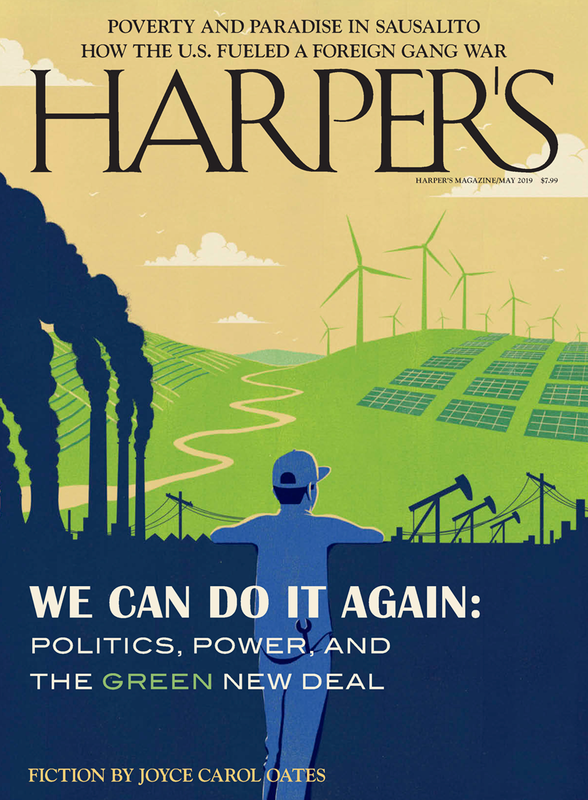 In fact, Koerner’s principal employer through the core of his career was Harper’s Magazine. Koerner published 55 feature illustrations in Harper’s, the first in 1910 and the last in 1925. You can view them here. Koerner was not exclusive to Harper’s, however, and he also created important works for the Saturday Evening Post, McCall’s and Collier’s among other publications, and he did a brisk business for the book trade, again very heavily for Harper & Brothers, and he pioneered commercial illustration (Koerner did the original box artwork for C. W. Post’s Grapenuts cereal). His serious work after 1907 focused heavily on the American West, and he clearly was one of the key “Golden Age” illustrators. His work is famous for dramatic images that, for me, are consonant with the age of Teddy Roosevelt—they suggest ruggedness, love for the outdoors, a strong sense of adventure and risk-taking. His paintings are packed with motion, at times rather dramatic motion. I was not able to find much about Koerner and his sense of religion, through it is very clear that he did not engage in public displays of religious fervor, and religious themes are absent entirely from his work. [Bush] came to believe that the picture depicted the circuit-riders who spread Methodism across the Alleghenies in the nineteenth century. In other words, the cowboy who looked like Bush was a missionary of his own denomination. So Bush’s inspiring, proselytizing Methodist is in fact a horse thief fleeing from a lynch mob. It seems a fitting marker for the Bush presidency. Bush has consistently exhibited what psychologists call the “Tolstoy syndrome.” That is, he is completely convinced he knows what things are, so he shuts down all avenues of inquiry about them and disregards the information that is offered to him. This is the hallmark of a tragically bad executive. But in this case, it couldn’t be more precious. The president of the United States has identified closely with a man he sees as a mythic, heroic figure. In fact that man is a wily criminal one step out in front of justice. It perfectly reflects Bush the man . . . and Bush the president. Though I haven’t examined Jacob Weisberg’s sourcing for his book, an alert reader points out that the story of the Koerner picture A Charge to Keep (and I should note that this is the name Bush gives to the picture, not Koerner’s title) was first explored and revealed by Sidney Blumenthal in April 2007 in a column published at Salon. It’s also been pointed out to me that the Talk to Action blog ran a still earlier post that covers this basic ground on May 12, 2006 entitled “Horseshit! Bush and the Christian Cowboy,” which can be viewed here. World, in a February 23, 2004, piece entitled “GEORGE W. BUSH, ART CRITIC”.